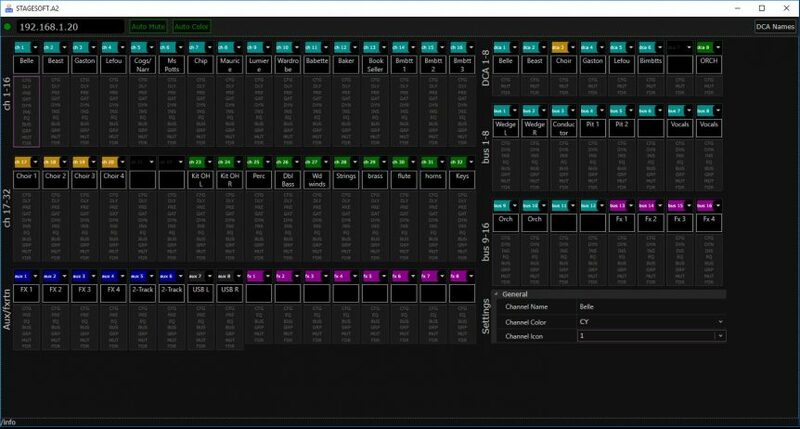 A2 is a free Windows application that assists users of the Midas M32 and Behringer X32 series mixers in the creation of DCA based scenes by automating the creation of DCA names and channel mutes for the user. A2 has been designed for use during the Setup, Tech, and running of Theatrical and Concert productions. If you include more than one channel A2 will generate a DCA name for you based on the group of include channels . Simply by changing the name of the DCA (either on the mixer or through the app) the application will remember the group of include channels and reuse it any time a DCA has the same channels assigned. If you remove all channels the DCA will be renamed to a customizable default. The Name can be converted to UPPER and lower case using the User. Defined keys Section of the mixer (coming soon). DCA names can be locked and unlocked by the user (coming soon) . MiX will automatically select the color of the DCA based on the channels included in it. If you include more than one channel MiX will generate a DCA color for you based on the group of include channels . 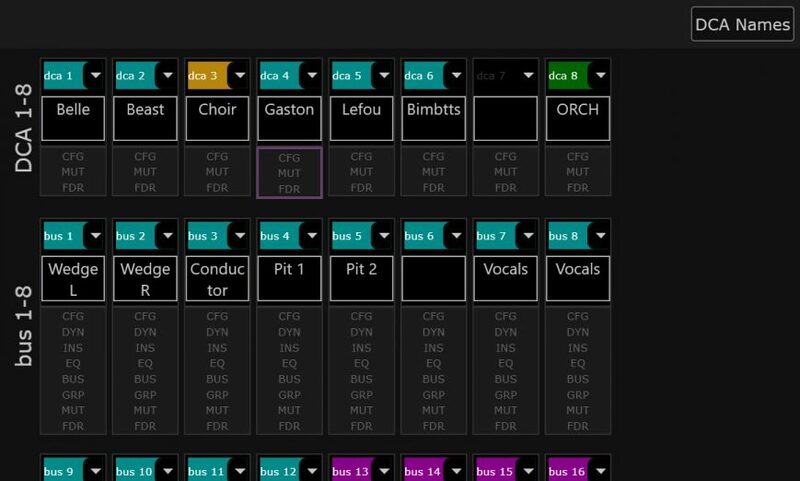 Simply by changing the color of the DCA (either on the mixer or through the app) the application will remember the group of include channels and reuse the color any time a DCA has the same channels assigned. If you remove all channels the DCA will change color to a customizable default. DCA Colors can be locked an unlocked by the user. A2 can automatically Mute and Un-mute channels as they are added and removed from DCA’s. As channels are added to a DCA they are automatically Un-muted. As channels are removed from a DCA they are automatically muted if they are no longer connected to any DCA. Auto Mute can be enabled and disabled through the UI. A2 Monitors changes as they are made on the mixer in realtime and displays them on the UI allowing you to see all changes made on the mixer since the last time you saved or changed scenes. Changes for each section of a channel (eq,dyn,mute, fader …) are displayed and can be compared with the original value. Changes to sections and individual parameters and can be undone by the user(coming soon). Select [ch 01: Belle] to be included in DCA 01 using the mixer. Select [ch 02: Gaston] to be included in DCA 02 using the mixer. Select [ch’s 17-25, and 27] to be included in DCA 08 using the mixer.